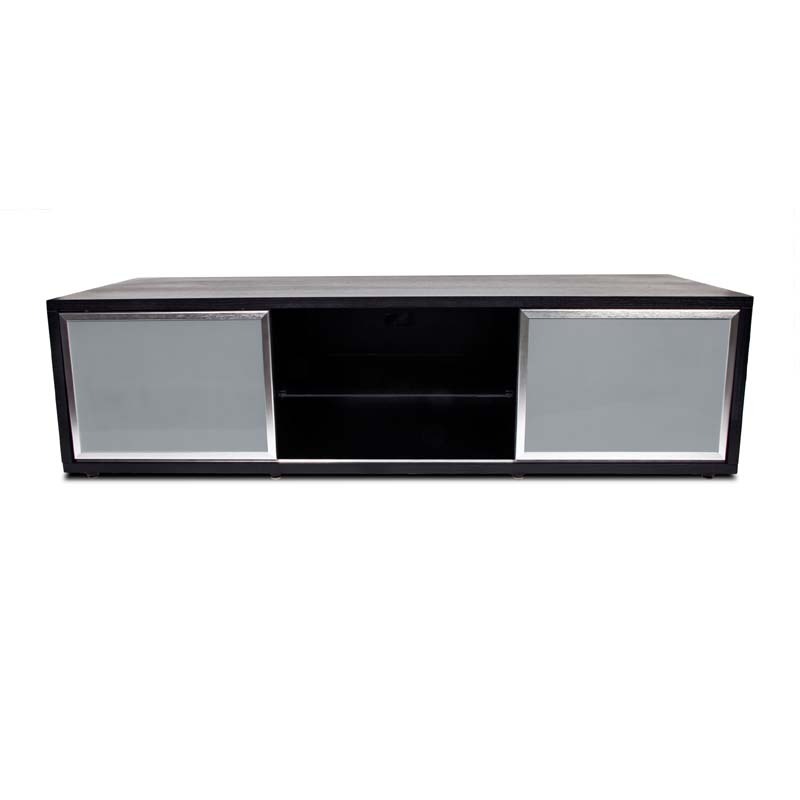 More on the Plateau Retro TV Cabinet for 48-65 in. TVs (Black Silver Frame) SR-V 65 (BB)-S below. When Plateau set out to create the SR Series their design brief was simple: "Design the most visually striking, technically superior credenza on the market today. Create a design that will command your attention when you see it in any home environment. When you look at the SR series... you see they have succeeded. The SR Series features luxurious natural wood veneers, tasteful woodgrains, and classic colors. If you demand the best and appreciate design excellence for your audio/video system, then the SR series is a must. 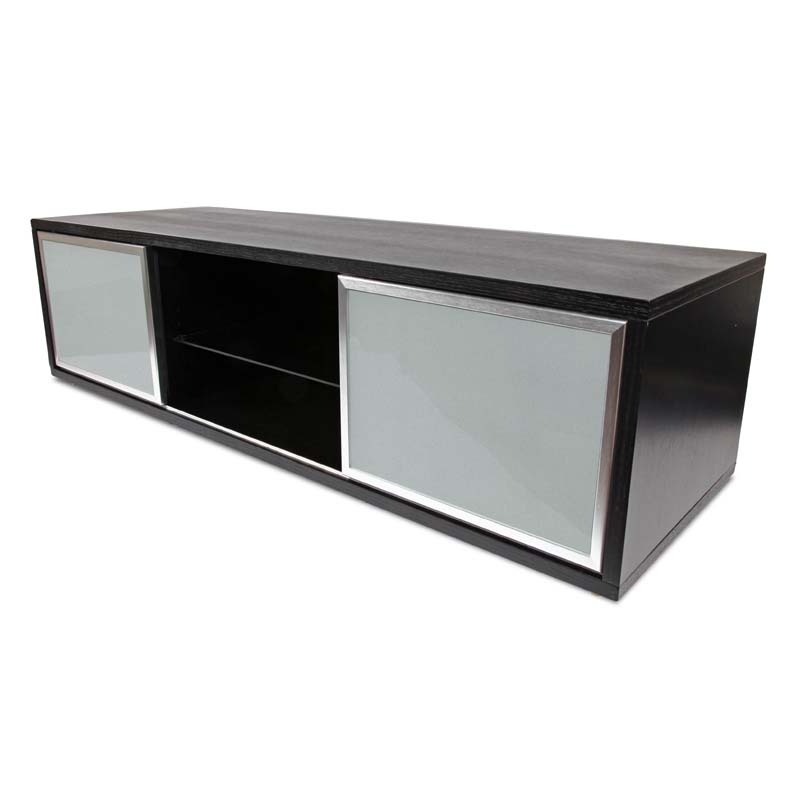 Constructed with durable Oak Wood Veneer laminated on MDF (Medium Density Fiberboard) and high grade smooth edged safety glass. 1 extra-wide, 2-shelf, open center storage space. Cleverly positioned cable management gateways to ensure unsightly cables are conveniently tucked away. Soft-touch, sliding aluminum-rimmed doors with frosted glass window panes. Ample ventilation to protect your valuable audio/video equipment. 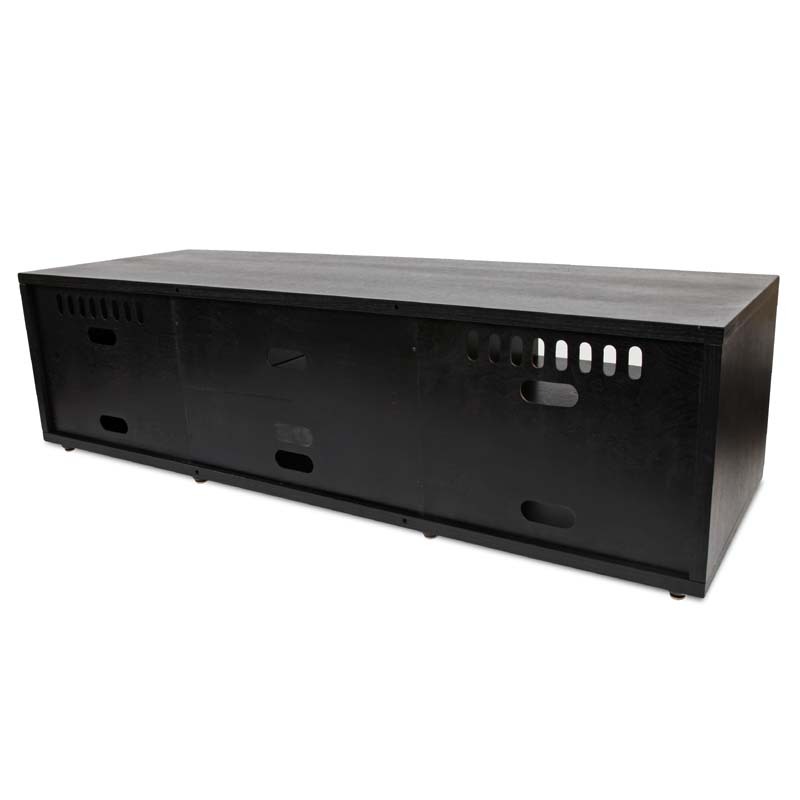 Adjustable open and enclosed shelving, offering ample storage for up to 8 peripheral electronic components. Flat panel (LCD, DLP and plasma) screens up to 70 inches. Conventional direct view (CRT) TVs up to 50 inches. Top / Bottom shelves supports 300 lbs. Wood and Glass Shelves support 70 lbs.